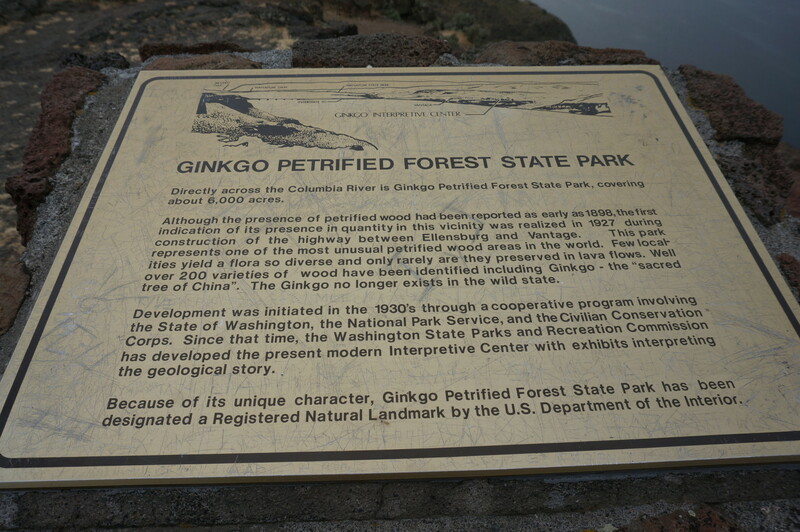 A Step Back In Time: Ginkgo Petrified Forest | Get Lost. Often. My husband and I visited the Ginkgo Petrified Forest State Park, near Vantage, Washington in June. We stayed at the nearby Cave B Inn for Kevin’s birthday (more to come on Cave B). 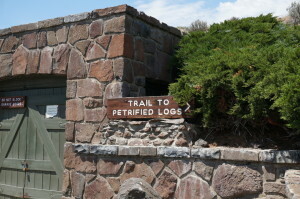 On our way home after our wonderful stay we decided to take a little detour to see the petrified forest. 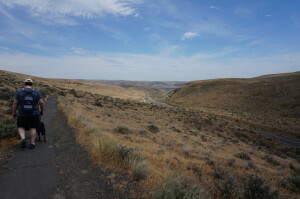 For those who are not familiar with the landscapes of Washington State, the west side has a rain forest, the middle is high desert and the east is full of towering pine forests. 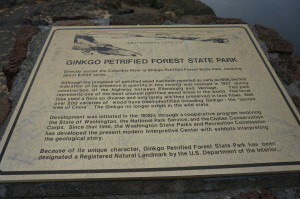 Vantage is part of the high desert as is the 7,470-acre Ginkgo Petrified Forest State Park. The park has 27,000 feet of freshwater shoreline along the Wanapum Reservoir on the Columbia River. 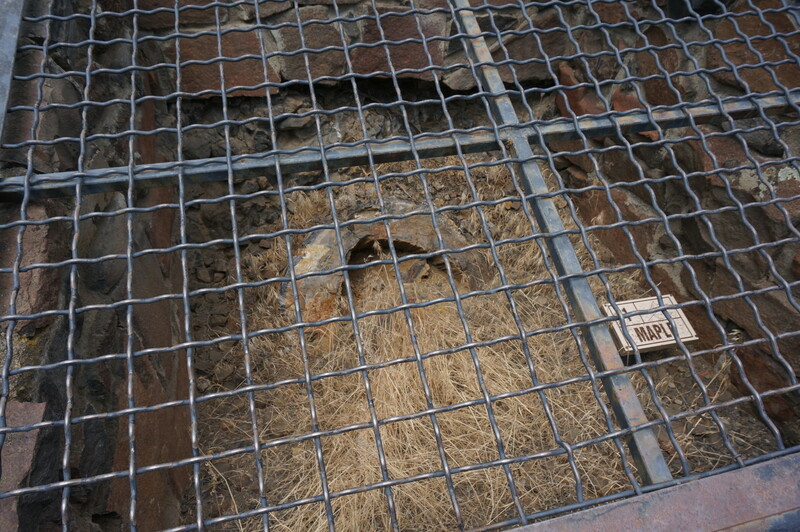 As part of President Hoover’s plan to get the country out of the Great Depression, highway construction began in the area in the 1930’s, which is how the petrified forest was found. 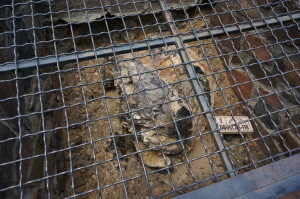 During the construction, workers uncovered the forest which included the very rare Ginkgo tree. This led to the creation of the National Park and the preservation of the forest. Today the petrified forest is a registered national natural landmark and is regarded as one of the most unusual fossil forests in the world. On our way to the forest we crossed the Columbia River at Vantage. We stopped at the interpretive center/museum to buy a Washington State Discovery Pass. The pass ($30) allows for free entrance to all of Washington State’s parks, including the Ginkgo Petrified Forest (day passes can also be purchased). There are nice restroom facilities at the interpretive center (outhouses at the actual park). 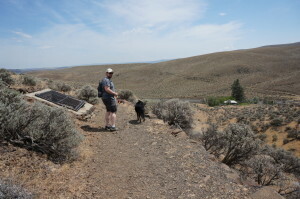 We then headed out to a portion of the trails (there are miles and miles of trails to hike). The park is dog friendly so long as they are on leashes and you do need to watch out for rattlesnakes. A park ranger lives on site and you pass his house on the way up to the trail. He was taking care of his yard when we were there and we were able to meet his cats. There is a bit of a climb and it was hot while we were there. If you aren’t used to the heat and lack of shade I would recommend earlier in the spring or wait until fall. Remember this is high desert with only scrub vegetation. Bring water, sunscreen and a hat! 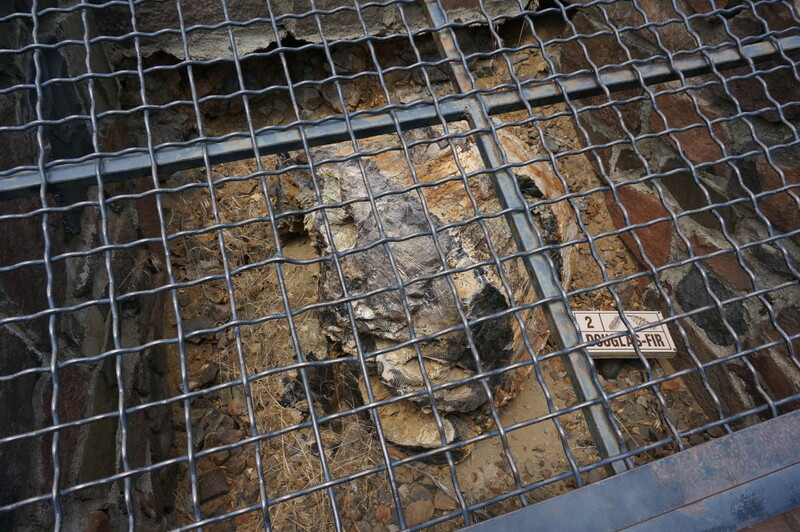 The first tree that we came upon was a petrified Maple. All of the trees are enclosed in cages to protect them. All trees are clearly labeled so that you know what you are looking at. The next tree on the hike was a Douglas-Fir. By now we were high above the highway that runs alongside the park. 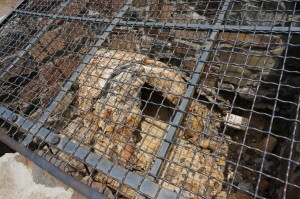 The next tree that we saw was a petrified Walnut tree. At this point on the hike we were way too hot and tired to continue so we headed back. 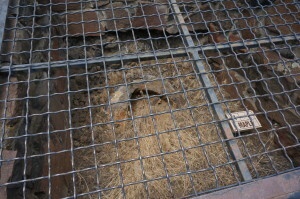 In the above picture you can see one of the fence cages that protects the trees. Camping and water recreation is available in the park alongside the Columbia River. 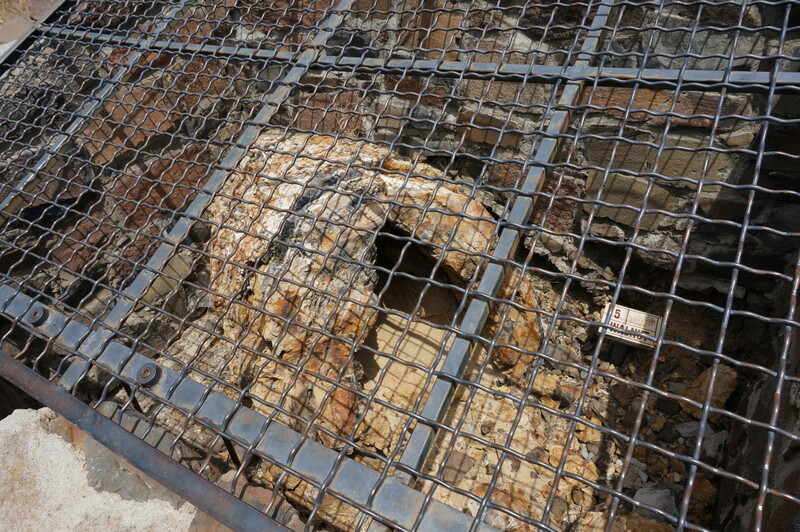 This entry was tagged Columbia River, fossils, Ginkgo Petrified Forest, High Desert, Petrified Wood, Vantage, Wanapum. Bookmark the permalink.